This gazebo is part of the outdoor classroom at New Day School. 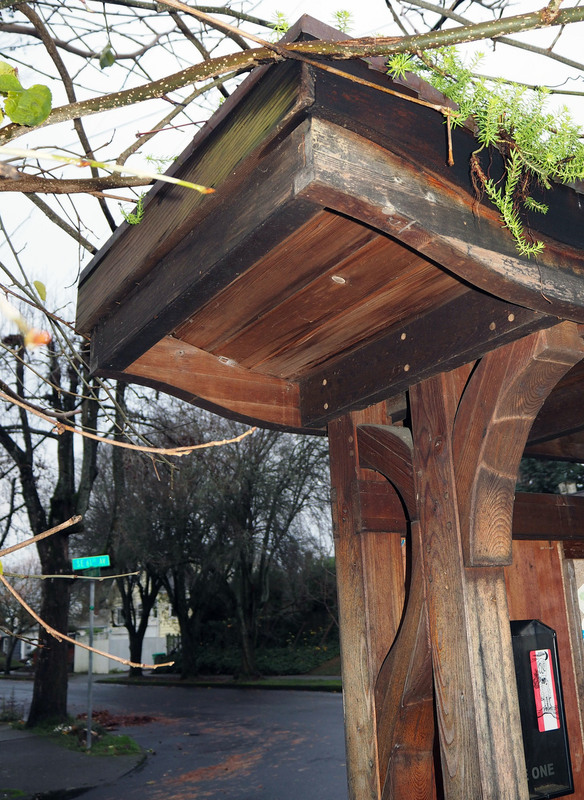 Detail of the gazebo highlighting the hand built joint and ceiling. Large, outdoor play structure built for New Day School. Another view of the New Day School playground structure. Covered sandbox set at New Day School.